Once perennial dark horses, Spain’s rise over the last decade has understandably seen expectancy levels rise around them when major football tournaments come around every two years. The 2018 World Cup marks ten years since their success at Euro 2008 which was followed by the World Cup in 2010 and Euro 2012. But that golden Spanish side that swept all before them in a scintillating four-year spell is now in serious transition and few of the players from that era will figure in Russia. Needless to say though that if they can navigate what could be a tricky group stage, they could go all the way. Although Spain are ranked sixth in the world they are, somewhat incredibly, in a group with a team ranked higher. At the time of the draw Spain were the eighth best team in the world but with hosts Russia seeded along with the top seven, they were placed in the second pot – and the draw for the group stages has given them a nasty surprise with local rivals Portugal waiting for them in their first game. Spain are 4/7 (1.57) favourites to win the group with Euro 2016 holders Portugal 2/1 (3.00). Morocco (20/1/21.00) and Iran (40/1/41.00) are clearly not expected to qualify. It’s as short as 1/2 (1.50) that Spain and Portugal advance together and 5/4 (2.25) that it is Spain first and Portugal second – it’s 3/1 (4.00) the other way round. The biggest issue on backing Spain to win the tournament is the Portugal factor. After the two Iberian peninsula rivals clash in the first game they will both be expected to see off Morocco and Iran, but should Spain lose to Portugal in their first match, their chances of finishing top of the group would be severely hindered. Even if they draw with Portugal in the first game, the group could well be decided on goal difference – based on who scores more against the lesser two sides. Spain only conceded three times in qualification so expect them to be mean at the back in Russia. If Spain finish in second they could end up facing hosts Russia, backed by a partisan home crowd in the first knockout game which is hardly what you expect in the first game of the second phase. 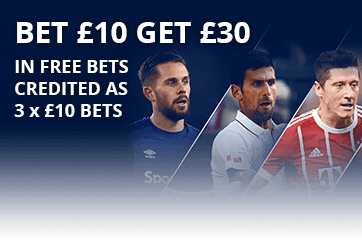 Chelsea’s Alvaro Morata is 2/1 (3.00) to be Spain’s top scorer with Diego Costa 3/1 (4.00), David Silva and Isco 6/1(7.00) – all four players scored five goals in qualification so picking a winner from that quartet could prove to be tricky. Overall, Morata is way down at 25/1 (26.00) to be the overall top scorer with Costa as big as 50/1 (51.00). Spain are 5/1 (6.00) to be Europe’s top team, with only Germany 11/4 (3.75) and France 7/2 (4.50) shorter priced. Despite becoming the first reigning champions to be knocked out at the group stage of a World Cup for 54 years, bookmakers expect Spain to put their terrible tournament in Brazil well and truly behind them in Russia. A spectacular 5-1 defeat to Holland was followed by a 2-0 defeat to Chile and the holders were soon packing their bags. but Spain are still ranked sixth in the world according to FIFA rankings – and bookies rank them among the top five best sides in Russia. Julen Lopetegui’s side is a general 8/1 (9.00) which is the same odd as 2014 beaten finalists Argentina. 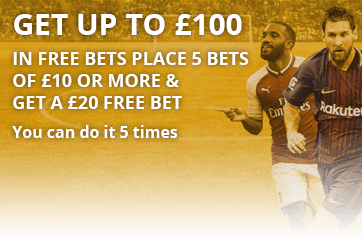 Only Germany and Brazil at 5/1 (6.00) and France at 6/1 (7.00) are a shorter price. Spain cruised through qualification, scoring 36 goals in 10 games, winning nine of them and only a 1-1 draw in Italy stopped them making it a 100 percent qualifying record. There will be plenty of familiar names for Premier League fans to watch in the Spanish line up with Manchester United’s David de Gea firmly established as the national number one with former Liverpool favourite Pepe Reina likely to be the first to be called upon if de Gea is injured. Spain tend to keep a reasonably solid set of defenders with the first choice back four made up of two Barcelona players and two from Real Madrid. Gerard Pique and Sergio Ramos would be the first choice in the middle of the back four with Jordi Alba and Madrid’s Dani Carvajal the fullbacks. Across the middle, 2018 is certainly going to be a pivotal year for Andres Iniesta. The man who scored the winner for Spain in the 2010 final could be on his way out at Barcelona following the signing of Philippe Coutinho and this will almost certainly be his last major international tournament. It’s an ageing midfield with Manchester City’s David Silva (32) and Barcelona’s Sergio Busquets (29) likely starters with the more youthful Koke (26) and Marco Asensio (22) set to figure at some stage. Spain have options – and goals – galore up front with Real Madrid’s Isco likely to be in advanced role – either as an attacking midfielder or striker – and with Diego Costa, now back at Atletico Madrid an option along with Chelsea’s Alvaro Morata the other option, Spain won’t have much trouble finding the net. Thiago Alcantara, Aritz Aduriz and Chelsea’s Pedro are likely to make the squad at the top end of Spain’s formation. Spain will probably try and field a team in the first game against Portugal to do to their near neighbours what they did to the rest of Europe at Euro 2016. Portugal only won one game in normal time and drew all three group games, and needed penalties once and extra time twice to win games. On the pitch they nullified teams, so expect a cagey opener with Spain fielding a 4-5-1 formation with Alba, Pique, Ramos and Carvahal across the back in front of de Gea. With one up front they will probably take Morata or possibly Isco and they will pack the midfield with Busquets, Silva and Iniesta in the middle and possibly Koke and Asensio out wide. That line up is certain to change in the group games with a 3-5-2 or 4-4-2 formation more likely as they try and notch the goals they will probably need to take the group on goal difference from Portugal, assuming the first match is drawn. In his seven years at Old Trafford, de Gea has become a rock solid presence in the Manchester United goal and is expected to remain Spain’s number one for the next decade. Aged just 27, de Gea was the third choice keeper at Spain’s disastrous 2014 World Cup tournament and was the only squad member not to see any action. With 25 caps so far, de Gea is key if Spain are to win this summer’s World Cup. He’ll be still only 32 by the time the tournament kicks off in Russia, but with 149 caps already, the Real Madrid star is certain to become Spain’s most capped player in the next couple of years, surpassing Iker Casillas’ record of 167. Ramos was a key part of the Spain team that won those three major tournaments between 2008 and 2012 and has a habit of scoring goals in key games for his club. The form of Real Madrid’s 25-year-old star Isco could be vital if Spain are to get to the later stages in Russia. Part of the Spanish 2012 Olympic squad, and Spain’s 2013 under-21 European Championship winning side, scoring against Italy in the final. Isco hit a brace in the crucial qualifying win over the Italians and has seven goals for his country in 24 appearances.